We all use our bathrooms on a daily basis from early morning showers to our kid’s bath times. It’s also a space that you can escape to for some peaceful alone time after a chaotic day. No matter what size your bathroom is, it needs to be functional and cater to your needs. If it currently doesn’t you probably aren’t using it to it’s full potential. It may be putting you off from using it at all. Thankfully, there are plenty of things you can do to make it more comfortable and suitable to use. Use this guide to instantly boost your bathroom’s functionality today. To begin with, why not consider installing a wall radiator. They are a fantastic addition to any bathroom as they have multiple functional features. They can keep your family warm and comfortable when using the bathroom during the colder winter months. Wall radiators can dry your towels, and some allow storage and hanging capabilities. Decorative designs can instantly add more style and interest to your walls too. Wall radiators come in an array of sizes and styles to choose from, so there’s bound to be one that suits your style. You can search for Bathroom Radiators UK online or visit a bathroom specialist for more information. 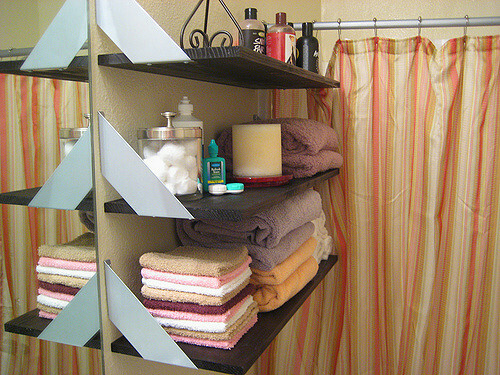 Whether you want to store toiletries or bath toys, shelving can be a welcome addition to your bathroom. This is particularly useful if you have a small bathroom, but can work just as well in larger ones too. Shelving provides function by maximizing the space and by adding extra storage. They can also enhance your decorative style. For instance, if you have a rustic themed bathroom, shelving made from old pipes and reclaimed wood will look fabulous. You might want to use a stand-alone shelving unit or ladder. Or you might want to stick to traditional and simple shelves instead. Search for bathroom shelves online to see what options might be available for you to use. Always measure your available space before you buy. Storage solutions such as plastic cups and boxes can be an excellent addition to your bathroom. They can keep the items in your bathroom organized while also being waterproof and easy to clean. Plastic storage is also safe for your kids to use and often comes in a variety of colours and designs. You can keep them on shelves, inside cabinets or on hooks on the back of your bathroom door. Toiletries and cleaning products can be stored out of reach of your children. While their toys can be safely kept where they can reach them. This will make your bathroom tidier and easier to locate certain items. Look online at plastic storage boxes and to see what other parents have used them for. These are some fantastic ways to add more function, comfort and practicality to your bathroom. Whether it’s big or small, you can transform it into a space that you can look forward to using each day.